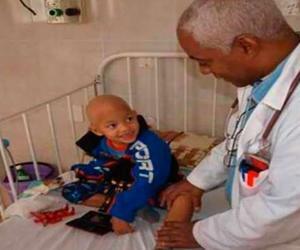 80 percent of treatments for children with acute lymphoblastic leukemia have been successful in Cuba, according to a report from the official Cubacoopera website. Each year the country reports an average of 80 new cases and 75 percent are acute lymphoid leukemia (ALL). "Cuba has a national network for the treatment of malignant hematological diseases in children that is distributed in seven institutions in the country, two in Havana and the rest in Pinar del Rio, Villa Clara, Camagüey, Holguín and Santiago de Cuba", Dr. Sergio Machin, head of the pediatric ward of the Havana Institute of Hematology and Immunology (IHI) explained.